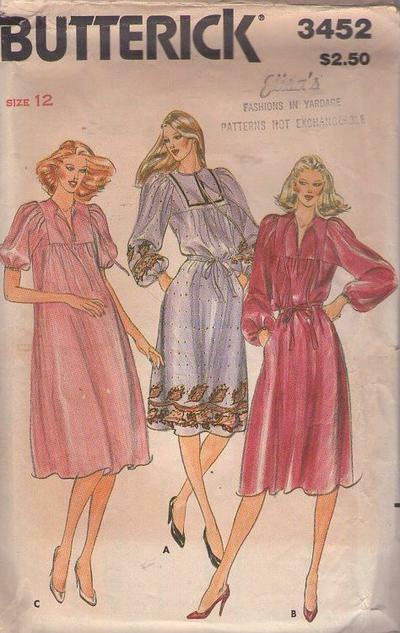 70s 80s Casual, Retro Office Clothing Patterns - MISSES' DRESS & BELT. Loose fitting dress 4" below mid kniee with or without purchased ribbon trim has round neckline with self piping extending into ties, front neckline slit, sleeves and skirt gathered into front and back yoke, side seam pockets, short or full length sleeves with elasticized lower edge and self tie belt. Optional purchased beads for tie ends.